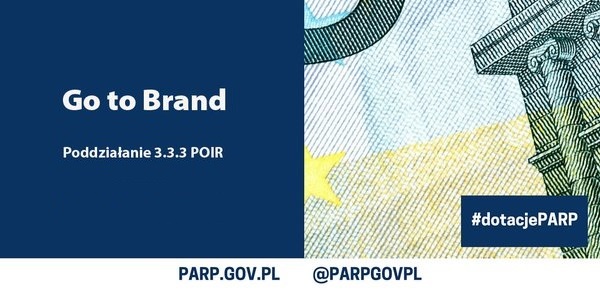 The 10th of February signs the opening of the call for proposals under sub-action 3.3.3 Support for SME in the promotion of product brands - Go to Brand, Smart Growth OP. The competition is aimed at companies which want to promote their products (goods/services) in foreign markets. The support in the form of non-repayable grants can cover, among others, participation in fairs and trade missions or specialized services of consultancy and training in the field of internationalization, and may be requested by micro-, small- and medium-sized enterprises in one of two groups from the file below. Companies can get a grant of up to 85% of eligible costs, up to PLN 850.000.